FESTIBA is The Festival of International Books and Arts. It was established in 2006 to promote the importance of literacy, culture and the arts to students, parents, educators and community members throughout the Rio Grande Valley. 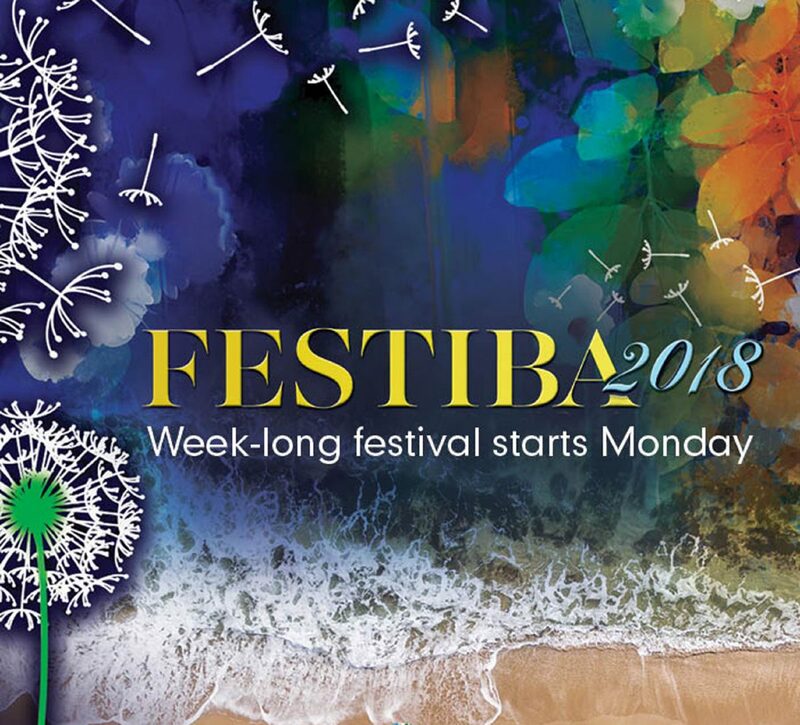 The theme for FESTIBA 2018 is Transcending Borders: Building Bridges Through the Arts. We invite the public to discover that the arts can be a humanizing force that has great potential to build bridges throughout the world between cultures and communities. This year’s FESTIBA will take place Monday Feb. 26 through March 3 with more than 70 events on the Brownsville and Edinburg campuses. All FESTIBA week long we are presenting numerous lectures, presentations, panels, and performances by our own outstanding UTRGV faculty and students, and by invited guest scholars, authors, musicians, and artists from all over the country and world. Please check the website for more information and bios on all of our wonderful guests. We invite all of the South Texas community to join us for FESTIBA 2018. We promise an extraordinary experience which will change lives and impact South Texas! A collaborative company, Nu Flamenco will bring the folkloric music traditions of southern Spain to our campus and community. Comprised of internationally renowned flamenco artist Niurca Márquez and Jose Luis de la Paz, award-winning guitarist and composer. An exhibition of contemporary works by thirteen international female artists who explore the concept of the fold in terms of form and conceptual metaphor in both stationary and time-based art media. Featured in three galleries. Artists: Misoo Filan, Gulia Huber, Sibel Kocabasi, Golnar Shahyar, Laleh Mehran, Sibel Kocabasi, Giannina Coppaino Dwin, Anja Marias, Linda Behar, Isabel Gouveia, Rojhaneh Hosseini, Dorotha Grace Lemeh, and Amber Scoon. Time: Opening reception at the Visitors Center – 6:30 p.m.
Students from the UTRGV GEAR UP program will visit the UTRGV campus locations in Edinburg and Brownsville and attend presentations and performances. Featuring award winning authors Angela Cervantes and Alejandro Zambra, and UTRGV faculty. Featuring Alejandro Zambra, award winning author of this year’s Big Read book selection, Ways of Going Home. He is also the author of “My Documents,” “The Private Lives of Trees,” and “Bonsai.” His books have been translated into more than ten languages and have received several international prizes. Zambra teaches literature at Diego Portales University, in Santiago, Chile. Grant Recipient/Moderator: Professor Steven Schneider MFA, Ph.D. This unique, interactive performance incorporates many different art forms on the stage. Watch as artists paint famous icons live on stage for an unforgettable experience. “Artrageous” blends popular music, dance, onstage performance, art, theater, and transports you to a world of creativity, art, and music! Librarians and Educators Day invites over 200 educators and librarians to visit UTRGV and attend a FESTIBA Roundtable and educational sessions on early childhood literacy. Featuring award winning authors Angela Cervantes and Alejandro Zambra as keynotes. Join us for this fun community event, which will be the culmination of a week of cultural and educational exchange. The afternoon and evening features an amazing list of family-friendly events including a variety of author presentations, book signings, musical performances, children’s activity tents, book displays, book distributions, local and international artists, and a variety of art and food vendors. The theme of the Community Festival 2018 is “Celebrating Cultures of the World”. The Office of Global Engagement will participate with a food tasting tent with native costumes of the world. Close to 500 students from all over South Texas will face off during the Middle School and High School Mariachi Competition. The Grand Concert in the evening features the finalists of the competition, Mariachi Sol de México de José Hernández, and UTRGV Mariachi Aztlán. Dahlia Guerra is assistant vice president of Public Arts for the University of Texas Rio Grande Valley.